Benjamin Fonzé the founder and CEO of ExoClick, explains the automative and revenue benefits of API integration within the digital economy. In the data filled age that we live in today more and more digital businesses are opening up their platforms with APIs (Application Programming Interfaces) so that clients and third party developers can create new software based products and applications based around those platforms. Essentially an API is a communication link between two applications or pieces of software. It is a simple, fast way to plug in and use a service from a third-party provider. The services can be anything from content such as news, transactional services such as credit card billing or automating processes on an ad network’s platform. Web APIs got their big start with early e-commerce websites eBay and Amazon back in the early 2000s. By 2006 social networks Facebook and Twitter had both launched platform APIs to allow developers to integrate their sharing functions into products. But it was cloud computing where web APIs really started to gather momentum, it wasn’t just about social fun anymore, you could actually run your business using APIs. Even with the power of API driven cloud computing, it would take another ingredient to finally catapult APIs to centre stage: the launch of the iPhone 3G. In June 2009, Apple’s App Store began allowing iPhone owners to download applications through iTunes onto their phones which opened up a whole new world of mobile applications, in which APIs would be the driving force. Before the cloud, businesses had to waste time and money upgrading servers and expanding their storage needs on a regular basis. The beauty of the cloud is its infinite scalability which is essential for the massive and ever changing amounts of data that digital businesses are generating, storing, accessing and consuming. This shift is creating new opportunities for both individual organizations and for global commerce by the exploitation of data and control flows between servers, resources, devices, products, partners and customers. APIs are what enable an organization to define securely how data passes between their internal systems, to and from their partners and customers. For example ExoClick’s platform stores all it’s data on the cloud and our API then allows clients and partners to securely access their data stored on this cloud through specific commands. This opens up a whole new world of automation for clients with the development of their own software using the ExoClick platform. With the explosion in devices from traditional desktop computers to smartphones and tablets and the much talked about Internet of Things, devices tie into the identities of individuals, objects and physical spaces such as restaurants, bars, shops, landmarks, etc. The devices are able to transmit and receive data and this data in turn permits not only information capture, but also control of actions to be taken, for example, a thermostat manufacturer can develop software from it’s API so that a consumers heating system can change it’s temperature setting automatically, using settings held on a cloud server from today’s regional temperature data. Each computer enabled device, each software application running on such a device or a remote server, and each networked environment provides interfaces to the outside world that can be identified and accessed. 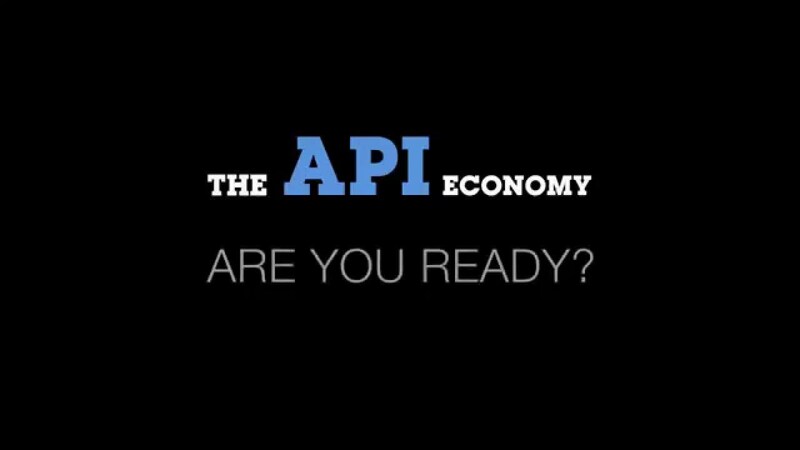 So as you can see APIs open the door to new opportunities and when deployed they become part of a businesses wider ecosystem by providing the building blocks for third party organizations to create new exciting products and services. The API is the ingredient and the recipe is only constrained by the imagination of the developer and developers are hungry to build the next big thing. By giving developers easy and secure access to data and services to help create new mutually beneficial business opportunities APIs are definitely the future of business. Benjamin Fonzé is founder and CEO of ExoClick, more details about ExoClick’s API can be found here.